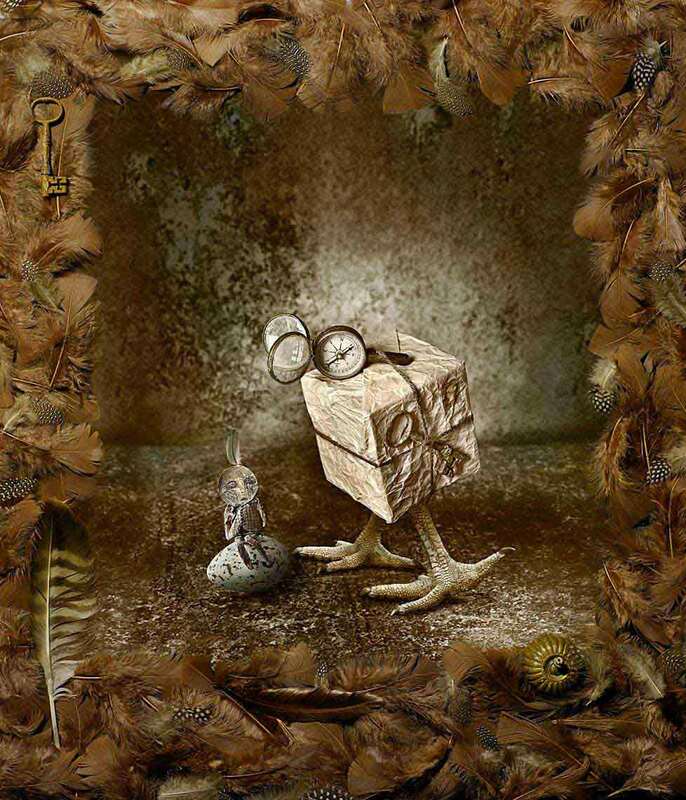 The Last Dodo by Paul Biddle Artist - An enigmatic depiction of the last dodo as it became extinct made from a parcel and string and a compass with birds legs. The Little Chap nearby, sitting on an egg looking perplexed. Framed with bird feathers, it is a portal allowing us to imagine the plight of the Last Dodo when man literally ate him to extinction.